It seems like Manus VR keeps adding awesome features to its hand tracking gloves. The company released a new video today showing off new experimental arm tracking demoed on the HTC Vive - with Vive controllers strapped to the person's arms much like our own Manus VR GDC demo. 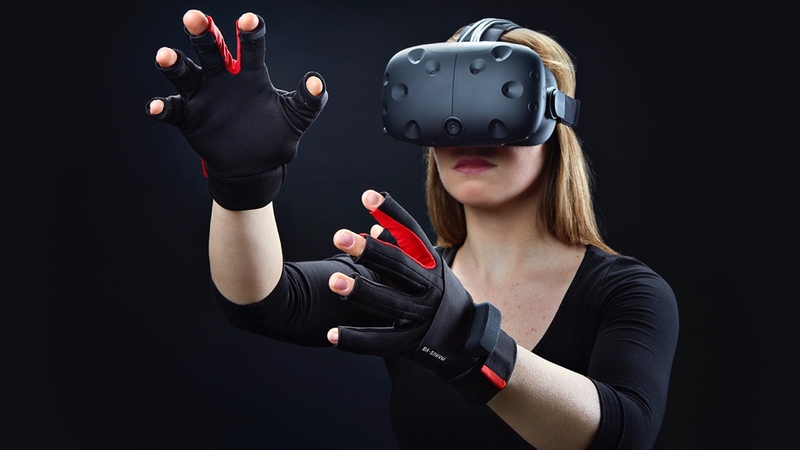 With the controllers on the arms and by using the position of the headset, Manus VR is able to generate a highly accurate model of the arms, hands and fingers. According to Manus, the VR arms and elbows are positioned correctly mimicking your actual body parts with "very little digital guesswork or latency" involved. If the experiment becomes fully developed in games, it could be the end of the 'floating hands' we see so often in VR games. It also allows developers to create arm blocking defense movements and even include in-game user interfaces like watches - or even Pip-Boys. Manus VR is still tinkering with the feature and wants it to be available on the Oculus Rift and PlayStation VR, but for now it's Vive-centric and will be released with the Manus SDK in June.